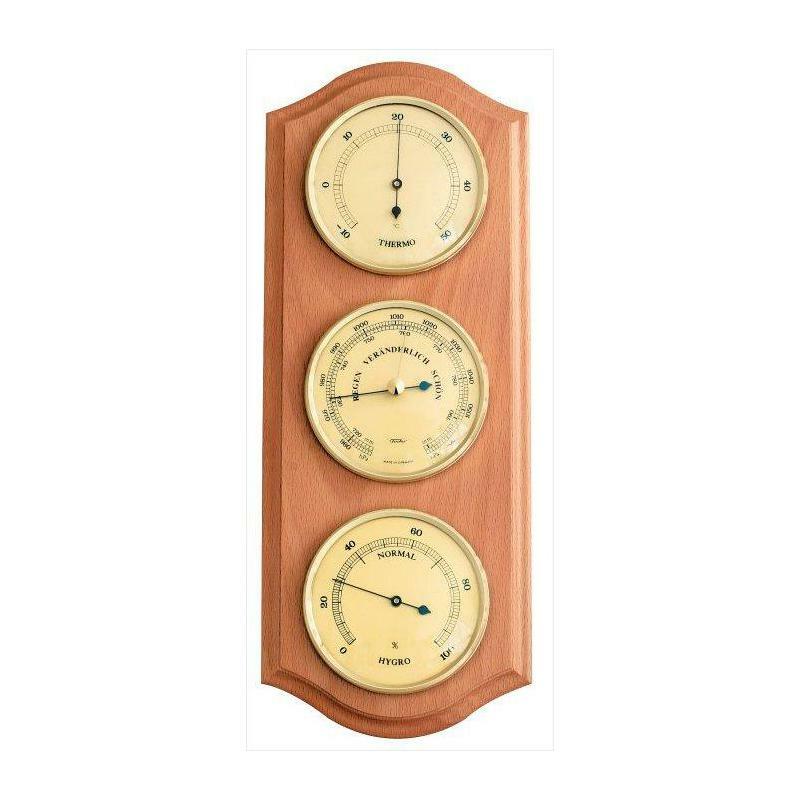 Equipped with three plants for temperature, humidity (hygrometer) and barometric pressure (barometer). The individual works have a gold-colored trim ring and a gold scale dial. They have a diameter of 84mm. 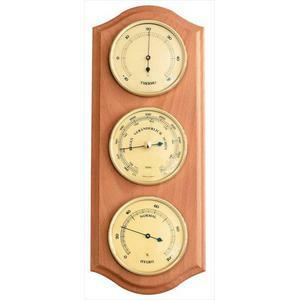 The barometer is provided in the German language with weather tendency.